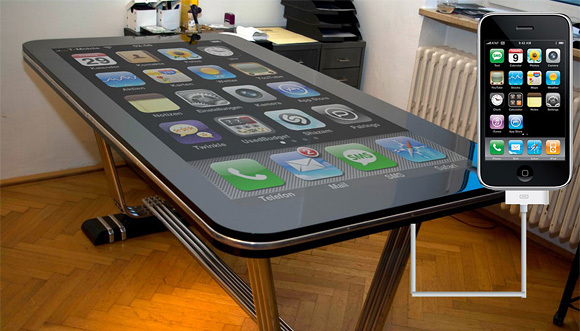 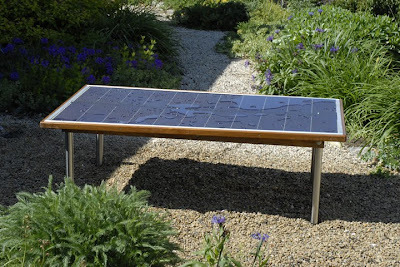 Collection of 'Creative Gadget Tables and Cool Gadget Table Designs' from all over the globe. Plug-in Side Table: Plug-in Side Table functions of a side table or nightstand and doubles as a light once plugged in. 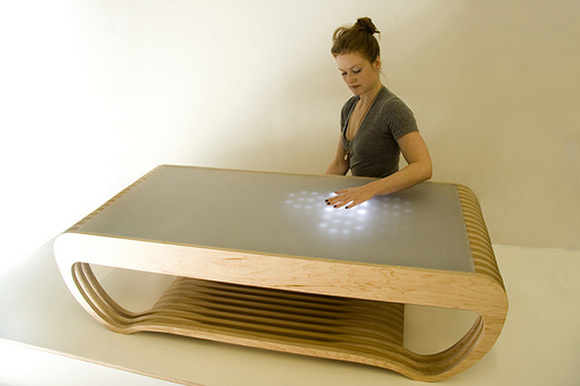 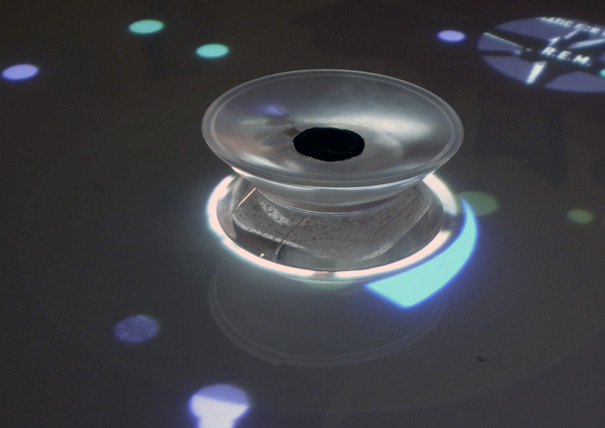 Interactive Light Coffee Table: This Interactive Light Coffee Table uses 480 super-bright white lights and 24 active and passive near-infrared opticalsensors that provides illuminating feedback when objects are placed on top of it. 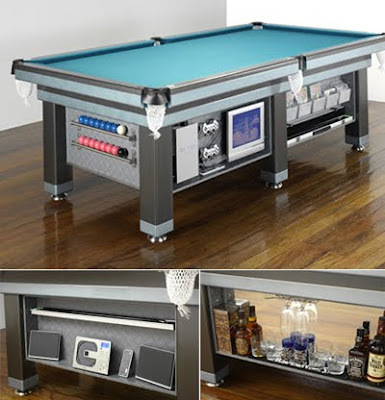 Table With Built-In Tv/Dvd: This Billiards table comes with a TV, stereo with flat panelled speakers, DVD player, racks for library and ball storage and more. 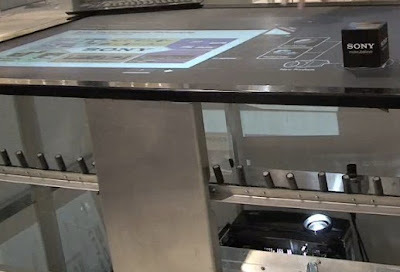 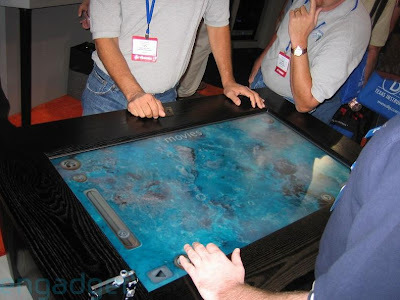 Sony atracTable: This Sony atracTable multitouch table with 3D tracking comes with 35-inch Full HD display and can recognize objects placed on it and react accordingly. 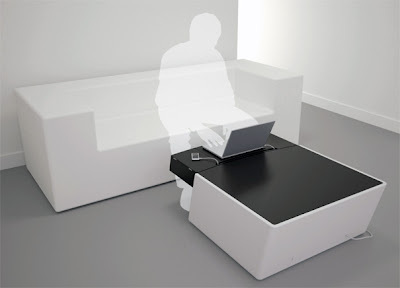 Amusity - Musical Coffee Table: The interaction design lets you play music videos, access information on the artist, song, album, and more. 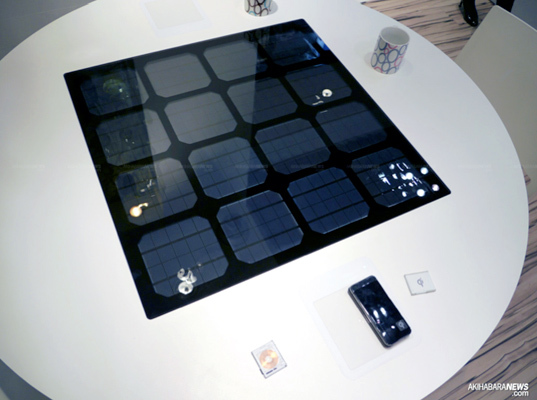 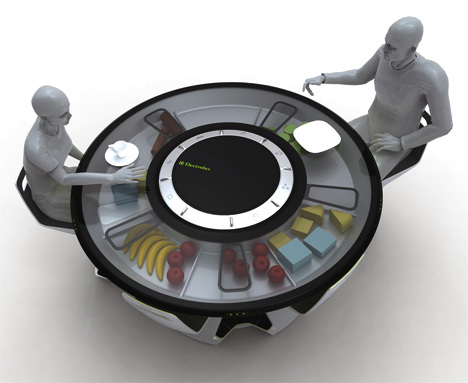 Electrolux Futuristic Dining Table: It's a circular five-seater table with retractable chairs; at a touch of button, the black glass top becomes transparent giving a complete view of the fridge contents under it; the top layer of the table is a touch display screen, allowing access to the internet. It comes integrated with appliances such as mini-dishwasher, toaster, coffee machine, boiling kettle, a freezer, and cutlery holder. 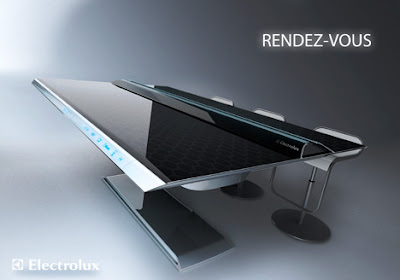 Electrolux Rendez-vous Interactive Table: The Rendez-vous interactive table is a cook-top that allows you to cook and entertain at the same time. 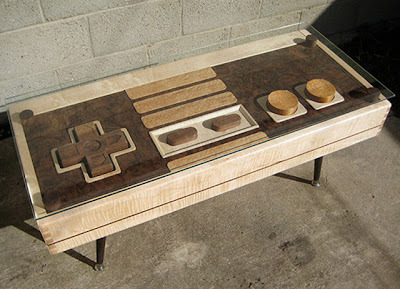 Wooden NES Controller Coffee Table: Creation of Charles Lushear, this coffee table resemble s a NES controller; and what more its functional too. 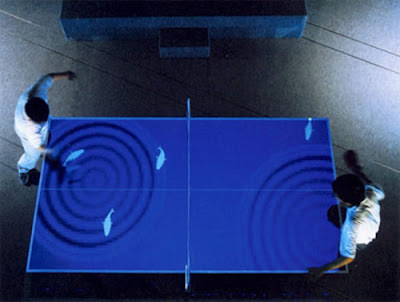 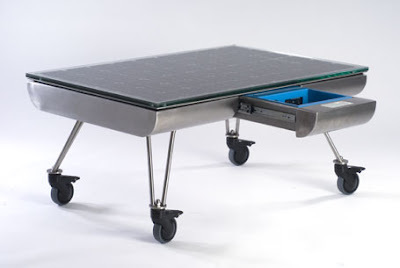 Pingpongplus: It's a digitally enhanced version of the classic pingpong; it's an interactive pingpong table developed by MIT in late 90's. 15 Creative Pillows and Cool Pillow Designs - Part 9. 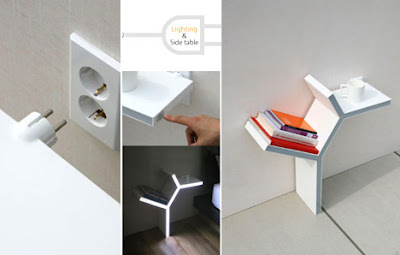 15 Creative Bookshelves and Unusual Bookcases - Part 7. 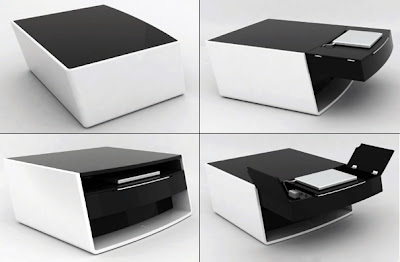 15 Creative Business Card Holders and Cool Business Card Case Designs.